I went out to St. Louis Composting yesterday to see if they might have their good compost in bags I could buy. I saw a man with a shovel loading compost into bags which he then put into his car. I realized then that this might be a better option than buying mulch by the bag every year. For me there are a couple of problems which I need to remember and which might be helpful to you. Order half a cubic yard at a time – that’s about the maximum amount I can get into the back of my car. They will use a bulldozer to dig out what you want and then dump it for you to load into your car. Bring along a strong-back worker who can use a shove to put the compost into bags which he can then put into the back of the car. 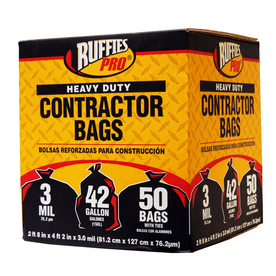 Buy heavy duty bags. The regular 1.2 mil bags are a bit light for the job. The good bags are a lot more expensive, but you can save then for use next year. Bring a tarp to put under the bags. 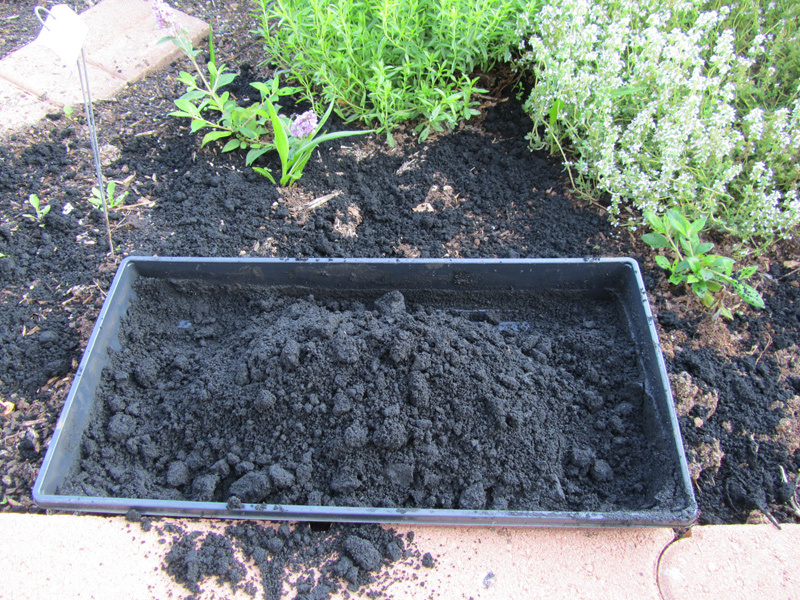 I used the Black Gold Compost as a top layer to dress the garden – it’s wonderful. If you’ve got a friend with a large pickup truck bed (4′ x 8′), you can get 2 cu yards to fit inside comfortably. 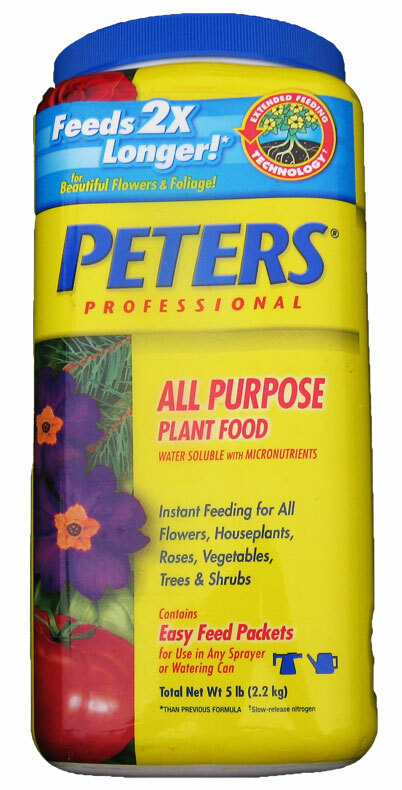 The Missouri Botanical Garden once told me that they recommend using Peter’s soluble fertilizer. The problem is that you can’t find Peter’s any more. The reason is that the Peter’s product has had to change the name to Jacks or Jacks Classic. You can buy it on their website or Amazon. After a number of experiments, I’ve come up with an almost perfect way to breakdown charcoal – just add water. In my quest to make terra preta, I have tried to breakup charcoal to a usable size by using blenders and bricks, but my latest test proved the best. 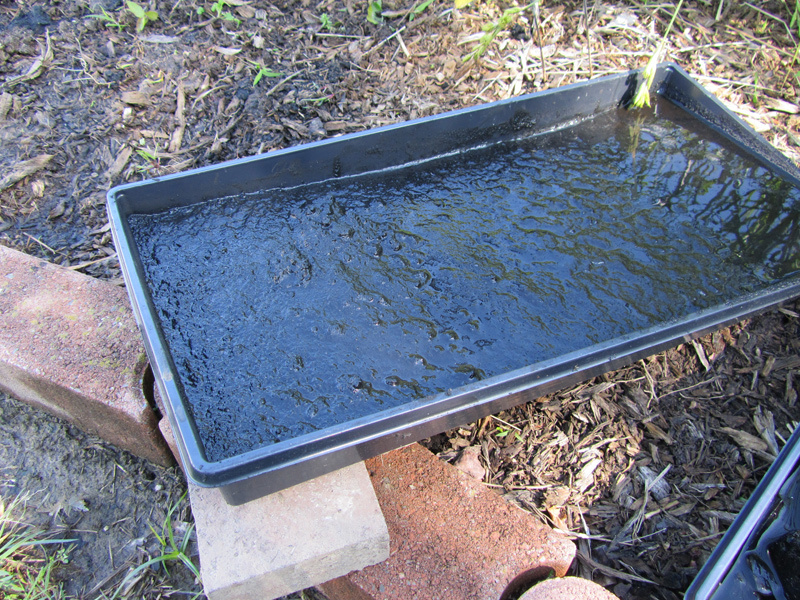 If you use charcoal briquettes and submerge them in water, the glue which hold them together breaks down and with a little gentle coaxing and kneading they break down into a black gruel. If you then let it dry out about 90% you can then easily break it up with your hands. You then have a great soil amendment. At this point, spread it around your garden and try to work it into the soil. 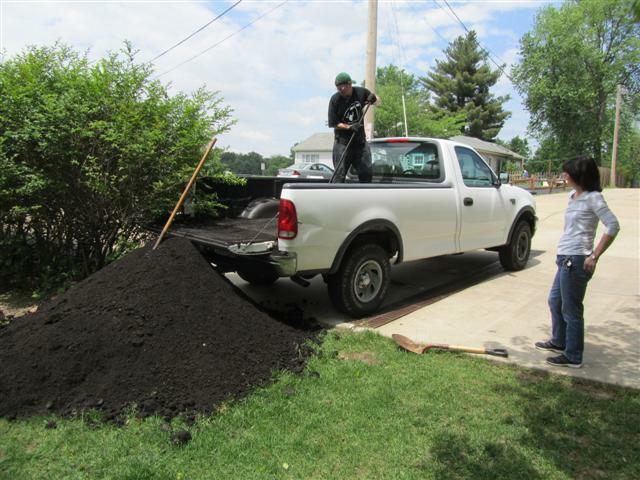 If you want to either start a new garden or enhance the one you have, you’ll usually end up buying bags of dirt, compost and mulch at your local big box store. I’ve got another option – at least for my St. Louis friends. 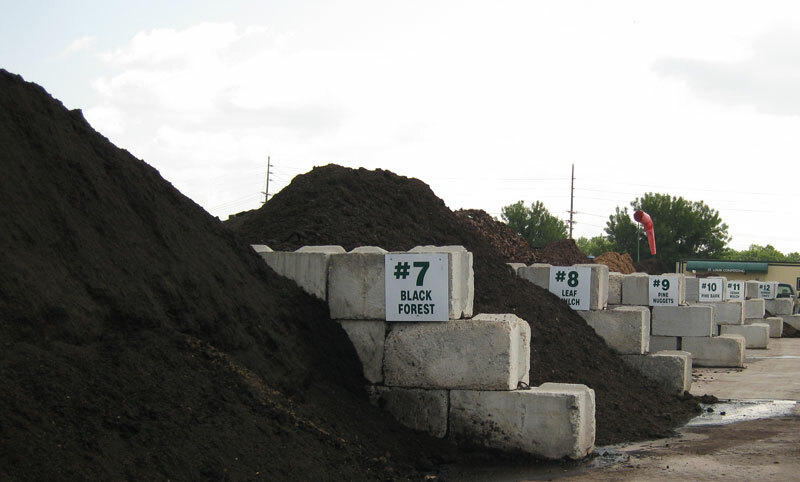 St. Louis Compost has a gigantic composting facility which has five types of compost , five types of soil, and 11 types of mulch. From my calculations, the prices are 50% of what you’d pay at the big box store, but you do need a truck or trailer to actually pick up the materials. They can deliver for approximately $50. My favorite mulch is the Black Forest. 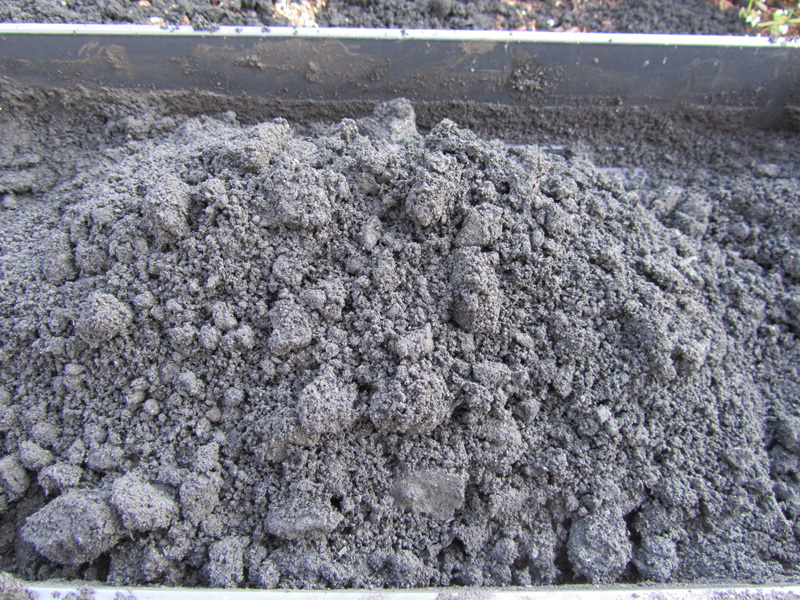 It is very fine and melts into the soil. By the bag, they sell it for $3 for 2 cubic ft. The big box stores only give you 1.5 cu ft for the same price. 5 gal bucket of compressed dried peat moss. 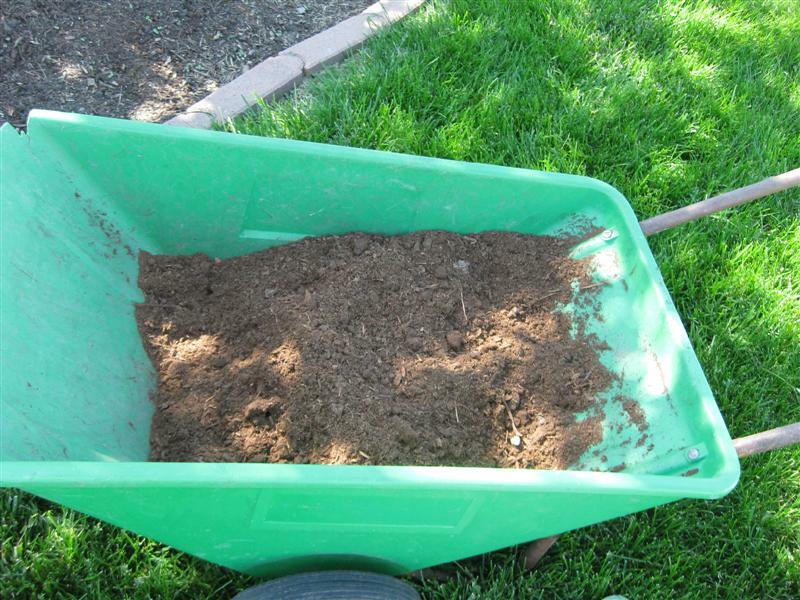 1/2 – 5 gal bucket bucket of old soil dug out of the old holes. 1 bag 40# potting soil – don’t just buy cheap top soil. 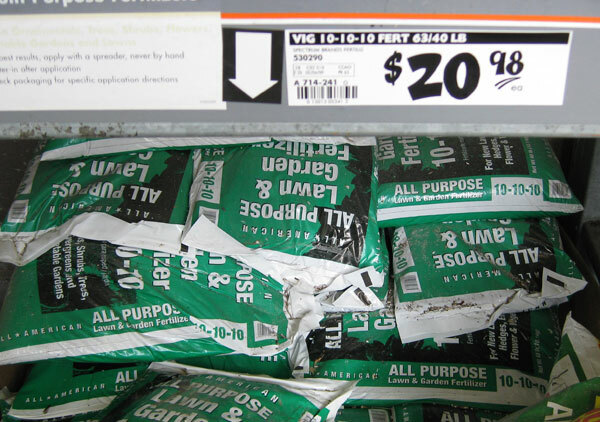 I pay $2 for a 40# bag from Home Depot or Lowes. 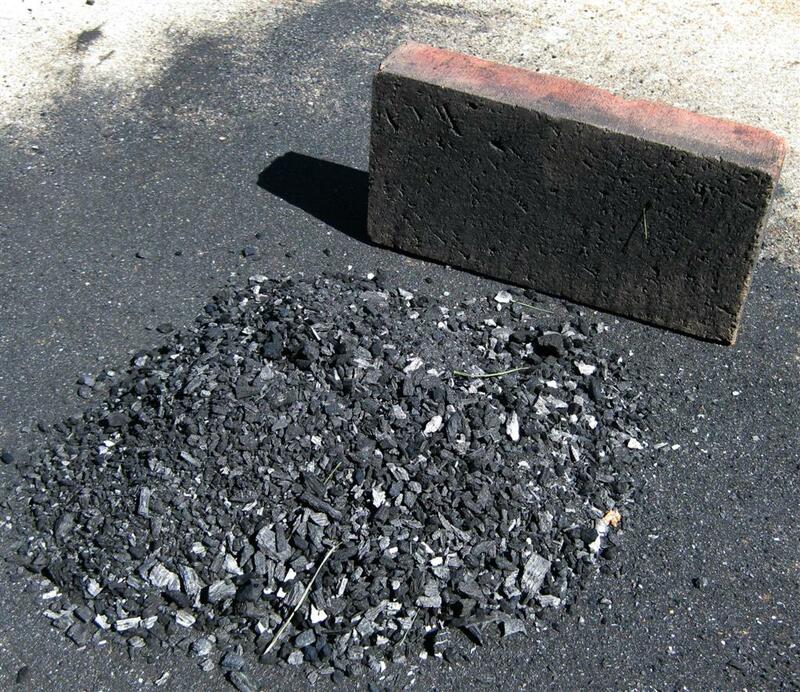 2 large chunks of natural charcoal, pulverized by a brick. 1 handful of 10-10-10 fertilizer. Note – if you’ve got lots of extra cash, the pros use “Turface” as an amendment also. I’ve tried it out, but was not impressed for what it costs. Prices on fertilizer have increase 100% since last year, so it’s probably a good idea to test your soil and see what it needs before you go out and spend a lot of money on fertilizer. 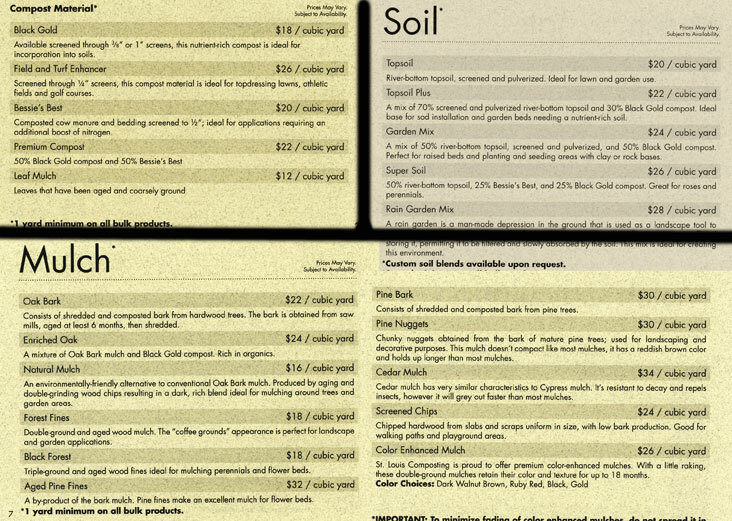 I like using the inexpensive soil test kits you can buy at the big-box stores. They will tell you what you actually need to buy. I’ve noticed that some fertilizers are coming out in a phosphorous free format. Walmart had a 13-0 -13 formula available which is cheaper than the regular 13-13-13. If you don’t need Phosphorus, then why apply it? Note – the numbers stand for Nitrogen-Phosphorus-Potash. I talked to the head of the Home Gardening area at the Missouri Botanical Garden and asked her which fertilizer they used for hanging baskets and she answered, “Peters.” Another MoBot manager said that she also didn’t like Miracle Gro and she also used Peters. 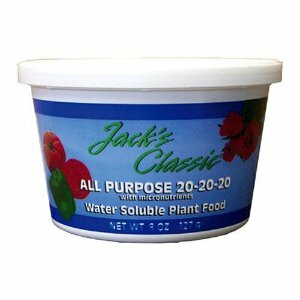 That was enough for me and I bought a container of water soluble Peters fertilizer at the local garden store. Give it a try and let me know if it works for you.